Nikon Z 6 or D850? 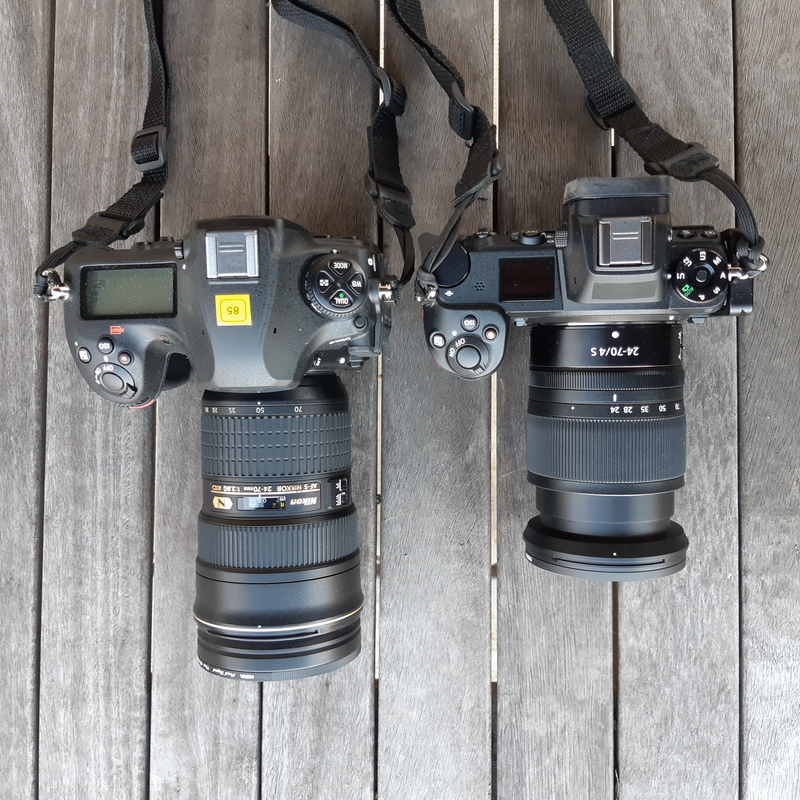 Nikon Z6 and D850 (left) – both with their respective 24-70mm zoom lenses. 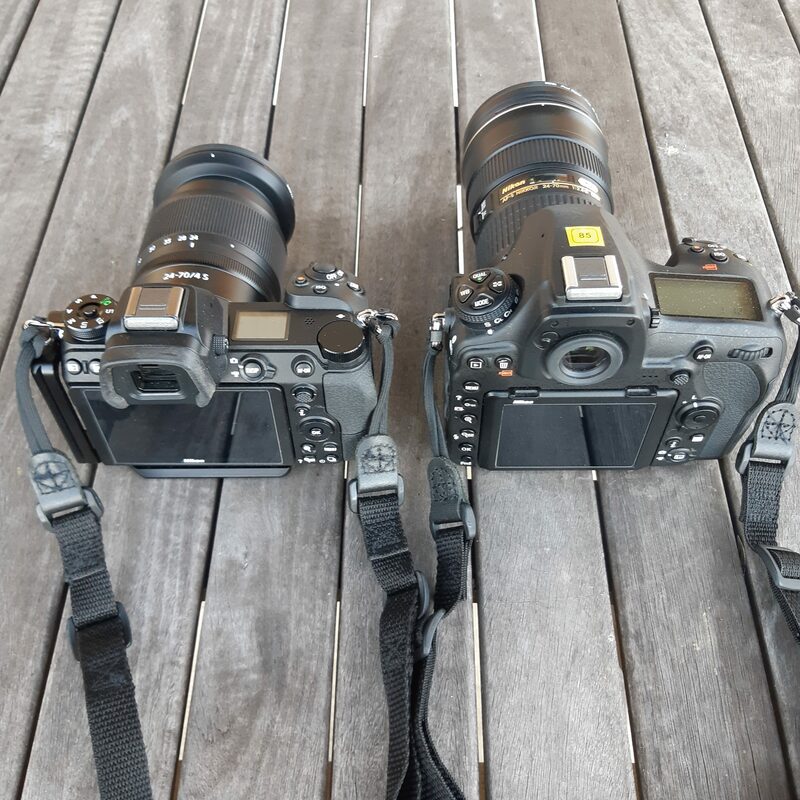 Here are two 24×36 format cameras, the Z 6 with a 24mp sensor, the D850 with a 45mp sensor. 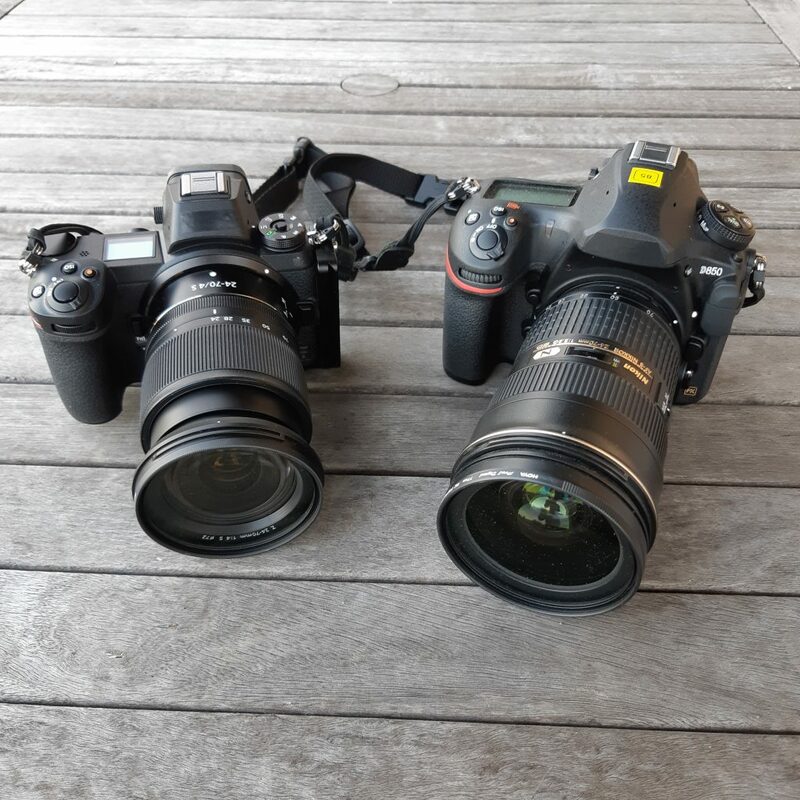 The lenses are ‘almost’ identical – the smaller one is an f/4 which explains, to some extent, the smaller size, and weight. 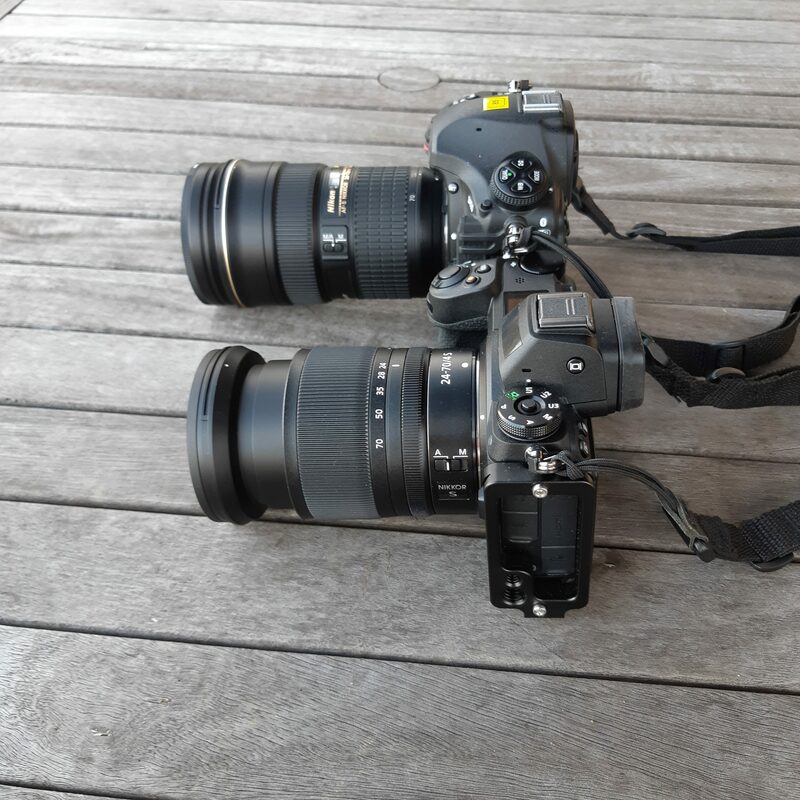 This image gives a slightly better idea of the overall difference in size, both of the camera bodies and the lenses. Article suivantSuivant Is size so important?